The Association of Independent Mortgage Experts (AIME) recently announced the creation of a mortgage brokers’ protection addendum – an agreement between wholesalers and brokers that wholesalers won’t practice “whole-tail” lending, or using brokers simply to feed new clients into their own retail channels. 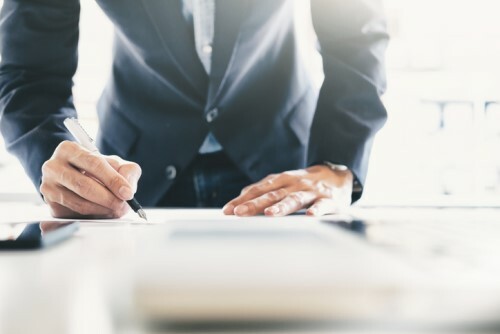 According to Anthony Casa, chairman of AIME, the addendum is a way to ensure that wholesalers will keep their agreements with the broker community. And now two of the nation’s largest lenders – Home Point Financial and Pacific Union Financial – have lent their support to the addendum, Casa said. Home Point and Pacific Union haven't signed the addendum yet -- it won't be circulated until the end of the year -- but Casa said their support was important. In a letter to independent brokers, Pacific Union Chairman and CEO Even Stone credited AIME with helping create a "paradigm shift" in the relationship between brokers and lenders. "AIME has helped set a new standard and bar for how Wholesale Lenders must perform and behave to earn your business," Stone wrote. "Through our engagement with AIME and listening to you, our most valuable partners, we have learned a lot. The idea of partnership between Broker and lender is at the center of this paradigm shift." Willie Newman, president and CEO of Home Point Financial, said that the company has actually exited its retail channel and is focusing on its broker partners. "We value the recent interaction with AIME leadership in evolving our retention strategy," Newman said. "We look forward to partnering with both AIME and its members in the continued evolution of both our retention strategy and supporting market share growth in the mortgage brokerage community." Casa credits the popularity of the recent Brokers Rallying Against Wholetail Lending (BRAWL) movement with opening many lenders’ eyes to the value of independent mortgage brokers. AIME has also announced the agenda for its first national conference, AIME Fuse 2018. The conference will be held Oct. 20 at the Bellagio Hotel in Las Vegas. Check out the agenda here.